This recipe delivers sweet and sour chicken with a little kick. It’s delicious and very easy to make in just about 35 minutes. Serve it over some fresh hot white rice or quinoa and your meal is complete! Sparkling water with a hit of fresh cucumber and lemon juice makes a nice cooling beverage to go along with this dish. Would you like this recipe gluten-free? 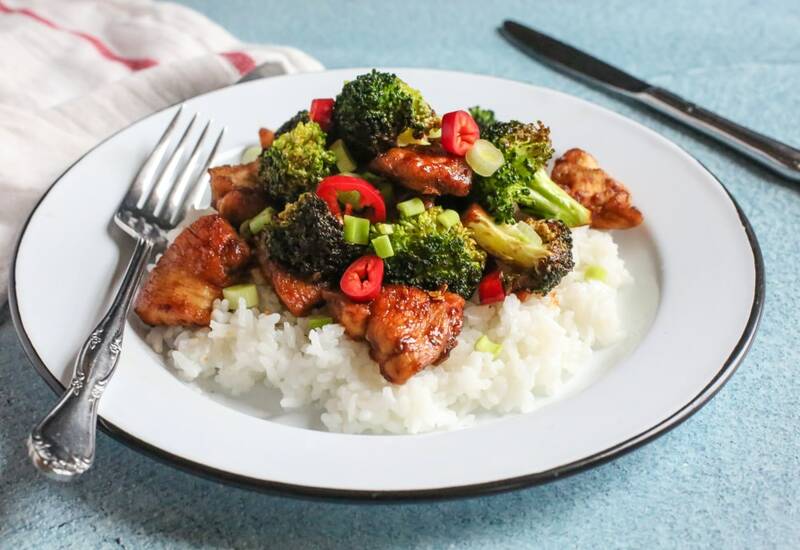 Just substitute cornstarch for the flour and coconut aminos for the soy sauce for a delicious gluten-free stir-fry! Per Serving: 569 calories; 25g fat; 45.5g carbohydrates; 43g protein; 102mg cholesterol; 2358mg sodium. I've always loved chicken and broccoli stir-fry but this just takes it to the next level. Love the spice with the chile pepper. Such a fresh dish and flavorful.